Nice hotel with bobs food junction a nice healthy food court and hotel with clean and furnished rooms. 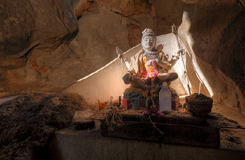 It is believed that Lord Shiva used to meditate at this peaceful cave. Many rishis and yogis meditated in this cave to acquire salvation. 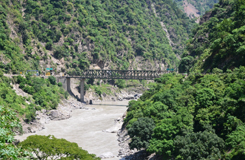 Lohaghat is a popular destination in the Kumaon region situated 13kms from Champawat at an elevation of 1745mts above sea level. 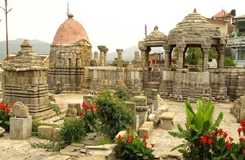 Devidhura is an old town, situated about 58 km from Lohaghat, in the backdrop of the high Himalayan Mountains. This town is full of dense. 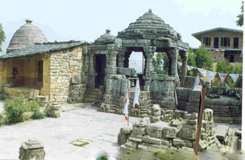 Champawat is a popular hill station in the Indian state of Uttarakhand and headquarters of Champawat district in the Kumaon foothills of the outer Himalayas. Situated at an altitude of 6,837 ft above sea level, Hotel Shiva Residency Champawat is set in a valley containing a pear-shaped lake, approximately two miles in circumference, and surrounded by mountains, of which the highest are Naina (8,579 ft) on the north, Deopatha (7,999 ft) on the west, and Ayarpatha (7,474 ft) on the south. From the tops of the higher peaks, "magnificent views can be obtained of the vast plain to the south, or of the mass of tangled ridges lying north, bounded by the great snowy range which forms the central axis of the Himalayas. Hotel Shiva Residency Champawat offers choices of rooms category as Superior Rooms & Premium Rooms. Superior Rooms have been tastefully done up in a contemporary decor, equipped with modern day amenities.The superior rooms in Hotel Shiva Residency Champawat offer a magnificent view of the valley or deodar forest that Ayarpatta area of Champawat is famous for.Privacy and comfort are the hallmark of every superior room at the hotel.Offering an array of modern conveniences, such as a flat-screen colour TV with multi-channel cable, tea and coffee maker(with pkg guest),Wi-Fi net access and well-appointed bathrooms with a complete range of toiletries makes superior rooms of Hotel Anamika first choice for all kinds of travellers looking for comofortable stay at budget price in Champawat. Premium rooms have large area compared to the Superior rooms and each room has open space as balcony offering the Valley Views.Premium room has large size bathrooms and are located on both ground floor and first floor. 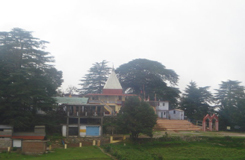 It offers all the basic facilites and amenities along with the personalized services of Hotel Shiva Residency hotel staff that is the hallmark of our hotel.All these facilities and amenities at affordable prices for your stay in Champawat making Hotel Shiva Residency Champawat as first choice among all budget hotels in Champawat.